In 2012, there was great fuss about a small research paper of Danish students adressing the, supposedly great negative influence of radiation from Wi-Fi routers on the germination of cress. 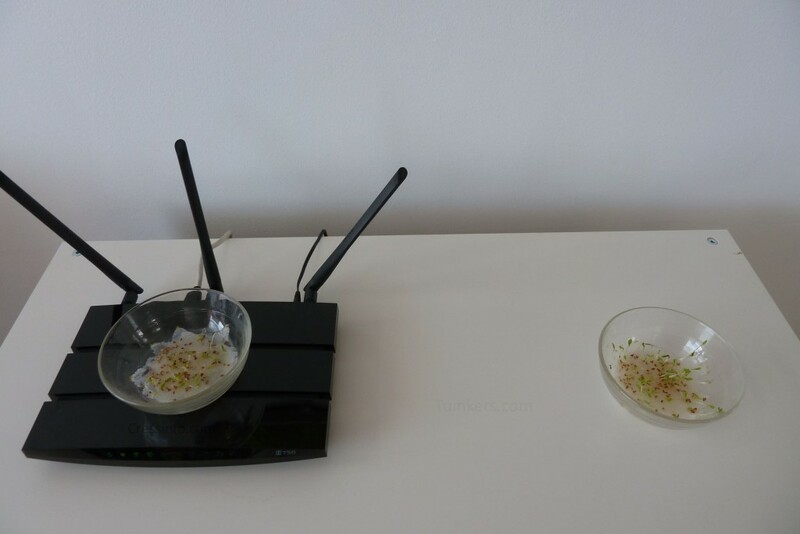 In the Danish Wi-Fi plant experiment, huge differences were observed between cress grown within the influence of a router vs a similar setup that had none. We tried to do a partial reproduction of the experiment to see to what end we could reproduce the results. 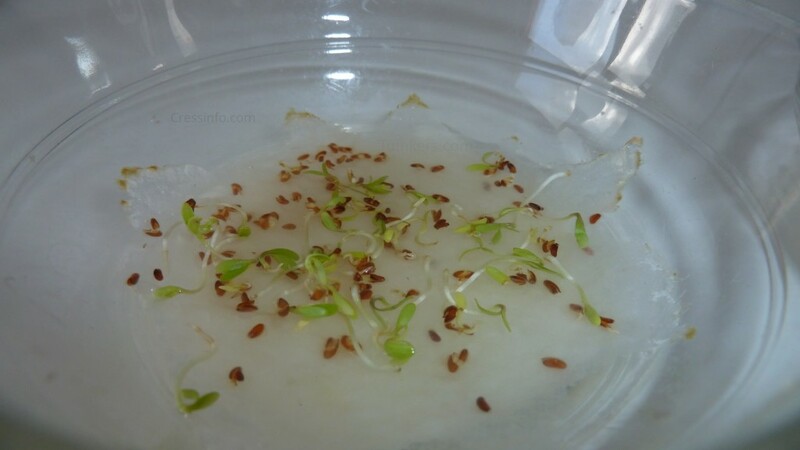 To what extent can we reproduce the results of the previous experiment on the effect of WiFi on the development of cress? 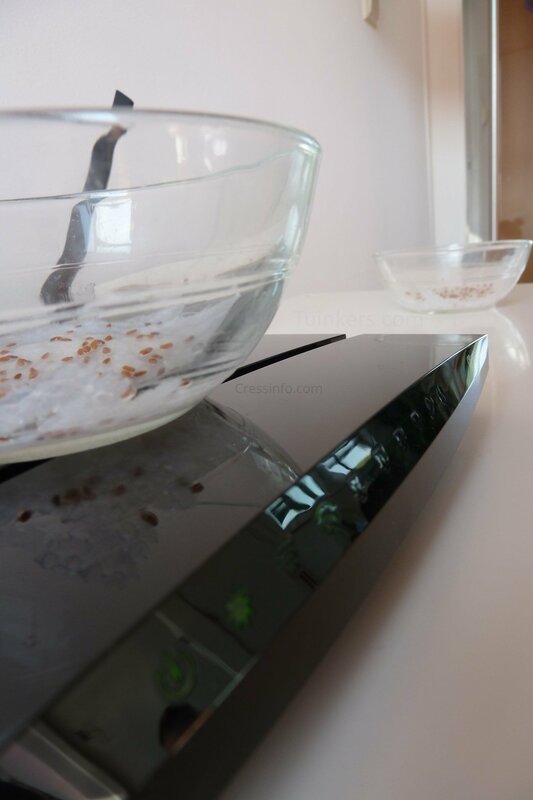 For this experiment we created a test setup by putting a tray with cress seeds on an active router and a similar tray 4 ft away from it. Note that, during the entire experiment, the router has had active Wi-Fi tranmission on both the 2.4GHz and 5GHz band. In the Danish school, there was word of heat production by laptops. We’ve reduced this effect by not having a laptop anywhere near the setup. 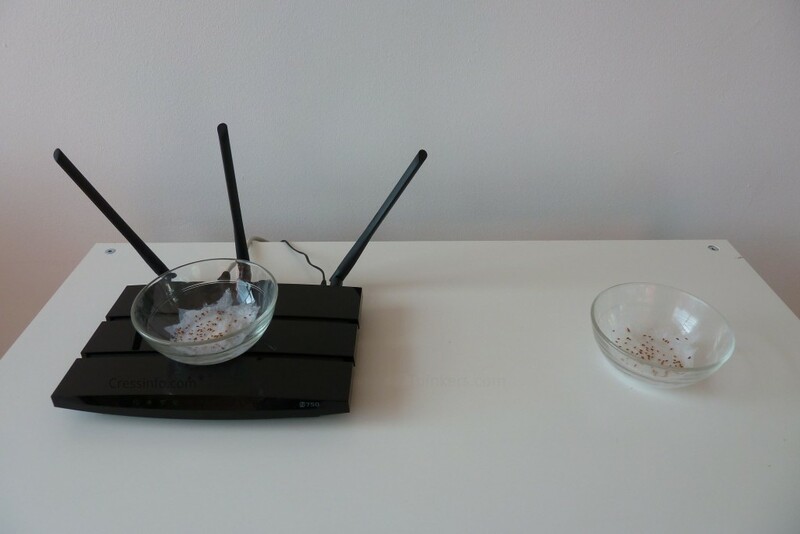 We have tried to make the two trays to be in the exact same conditions except for the presence of the router. Each day, 15 ml of water was added in both packages. Both trays received the same amount of light. Wi-Fi activity on both channels, with a minimum of 16 hours a day. The heat production by the router. This could potentially causes the temperature to rise in the seed tray. Water could have been evaporating more quickly which may have had a negative effect on the germination. The bottom of the seed tray on the router is much darker than the other one. Through the glass-bottom of the containers used, the germination could certainly be influenced. After all, we have already seen that the influence of light is enormous on cress growth. Both containers are filled with a few layers of paper towels and 100 cress seeds. Every day, approximately 15 ml of water was added to the trays. We can see the cress without the router grows clearly better. However, it would be an easy conclusion to write this effect direct full path to electromagnetic radiation of the wifi signal. Router produces heat, therefore creating a less favorable (?) germination temperature. 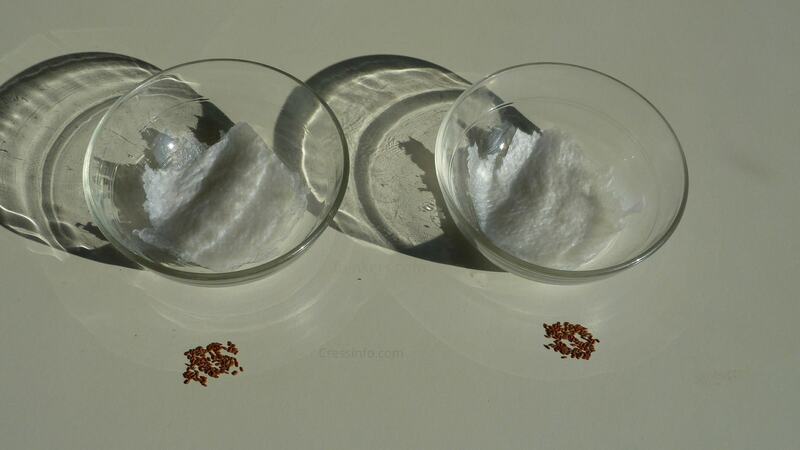 With this higher temperature water can evaporate faster and therefore the seeds could have had less water to grow with, causing unfavorable germination possibilities. 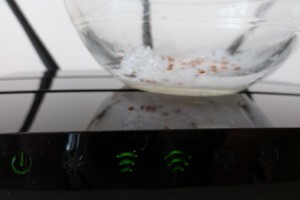 Efforts were made to keep the factor ‘light’ as neutral as possible, however it can not be ruled out that the cress is affected by the “black floor” due to the router. 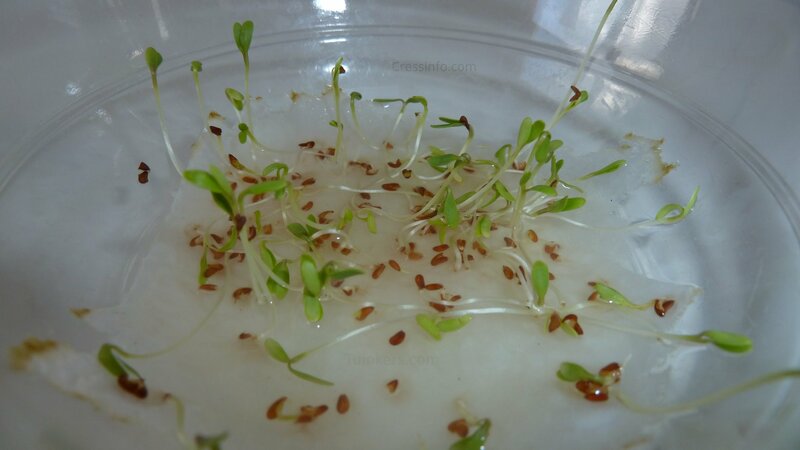 There seems to be a clear negative effect on the development of cress by the router. However, there are still too many factors outside the Wi-Fi radiation that can also affect the results. The tray with cress sprouts on the router is easily a few degrees warmer. We can conclude that there are negative effects of the router but that is probably not due to Wi-Fi radiation. So we can say we kind of reproduced the original Danish results a bit but we do not think this is due to radiation.